If you have outdoor dogs and pets, you probably feed them outside as well. You can get outdoor dog feeders that will take care of this, but what about the cold subzero weather? ​All dogs and pets need hydration, even in those subzero temps. It is not enough to lick some snow, their metabolisms are working overtime to keep them warm and they need extra calories and a lot of water. Many pet owners think that the only time they need lots of water is in the heat, this is true, but they need water just as much in the winter time. 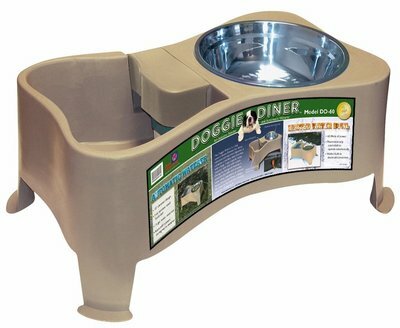 ​Instead of constantly refilling the water bowls, or chipping at the ice, you can get these heated efficient outdoor dog bowls that will keep the water from freezing, and you could get a second one for their wet food. This bowl is 60 watts of power and only comes on when needed. It is efficient and is 1-1/2 gallons capacity. Most dogs eat their meals right away but the water needs to be ready for them 24/7. If you live in a climate where it gets really cold or subzero then make sure your outdoor pet has access to fresh clean and NOT frozen water. 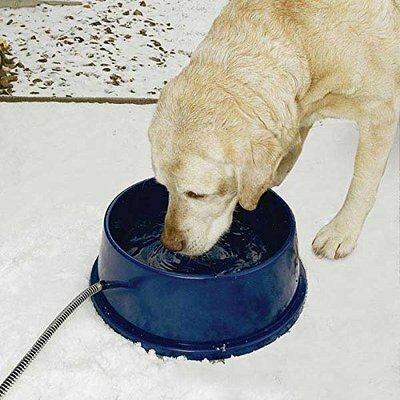 IF you have a few outdoor dogs or simply a larger dog, this heated utility bucket can be used for their water. You could hang it up so they won't spill it. It is efficient and only comes on when needed. The cord is chew proof and so is the bucket. This could give you peace of mind if you are gone for the day. You can use an outdoor feeder for their kibble but getting water in the sub zero is important and water will freeze quickly. There are many different styles of heated bowls, especially for the water bowl as you can see above. Click on the picture for more information and prices. They are an affordable option for those dogs and cats that prefer to be outdoors. If you have smaller dogs or even outdoor cats that need access to not only water but wet food, this smaller bowl would do the trick. Most larger dogs eat their dinner in one sitting, but need the heated bowls for their water. But not all dogs eat their dinner at once, some like to pick at it. If you serve your dog dry kibble because of possible freezing, but would prefer to give them wet canned food, or your homemade food then you need a heated bowl to stop it from freezing solid. ​I had a dog that use to eat half his dinner right away, then wander off and come back for the other half. The problem is, our cold Canadian winters can freeze that last half quickly. Some larger dogs will simply tip the bowl and munch on it frozen but smaller dogs and cats can't do that. 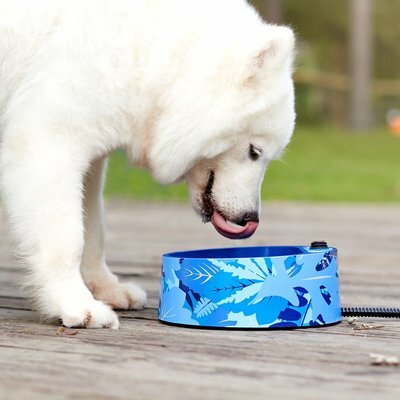 ​For large dogs you could get two separate heated bowls, one for water and one for wet food, but if they are smaller or if you have outdoor cats to feed as well, then a smaller double bowls such as the one above would work well too. ​They don't take much electricity as they only come on as needed they are not constantly heating. If you could put the bowls in a sheltered area, it would be even more efficient and the cords are designed so they cannot chew them and injure themselves. If you have outdoor dogs or would like to leave your larger dogs outside, they need some creature comforts. 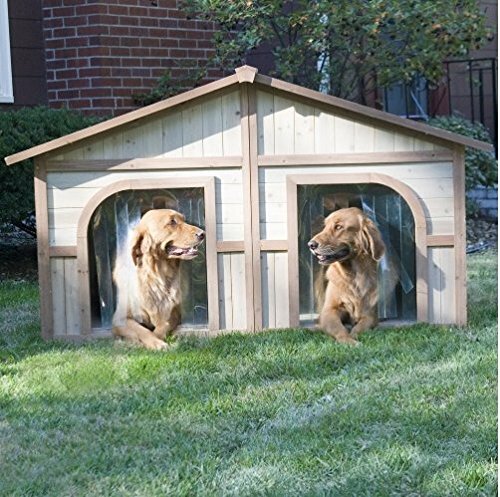 This double dog house could also be used as a feeding station. You could keep the food bowls and water bowl in one side to keep the weather off of them. Still keep them plugged in, but with being sheltered you will save on electricity. ​This particular one is large enough for two big dogs, but you could leave the separating portable wall out and use one side for their bowls. This way you are not looking for them in the snow (been there done that!). If you already have a sheltered area for them to hang out then you probably don't need this, but if you are looking for a dog house that can be "double duty" shelter for them and their food and water, then getting one large enough where they won't knock it over when they enter would give them the comforts from a very cold day or night. ​Using heated dog beds or pads can also help them through a very cold snap or winter. We all love out pets, and there are some very efficient products on the market now to make taking care of them easier than ever.